Description: The organ of the St. Joseph church in Bonn-Beuel, built in 1981 by the reputed firm Gebr. 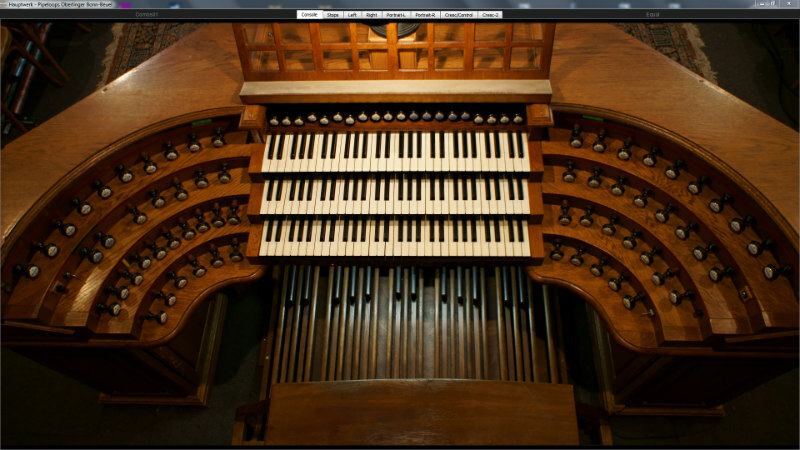 Oberlinger, is very special in the german organ scene. At that time the german 'Orgelbewegung', oriented at a north-german baroque sound ideal and originating from the 1920s, could still be felt everywhere. Romantic organs were seen as the product of a period in organ building mainly formed by decadence. Many precious instruments of this period had been destroyed or totally defaced in an attempt to reach a more baroque sound, so that not much was left from their original sound. In that time it took a lot of courage to build an organ following a romantic organ design ideal, and even more so french romatic. I have found some errors in the samples; for example the attack in the Cornet V. Ethereal sound with little presence as Caen.